Licia Hahn & Co, LLC is a New York management consulting firm focused on upgrading the performance of CEO’s and their companies. The firm’s clients are mostly Fortune 500 global companies in the media, healthcare, financial services, and industrial sectors. Hahn’s practice also includes high profile sports figures, local and national politicians, and news talent. Her expertise in C Suite leadership has been featured in The Wall Street Journal, The Financial Times and on CNN. Before the formation of her firm in 2001, Hahn served as EVP Marketing, Working Woman Network, a B2B digital brand, and VP News & Marketing, CBS Television Stations Group. Hahn led the CBS stations – the network’s key source of cash flow – through a business and cultural transformation, instilling the disciplines of performance accountability, strategic focus, branding, and senior team alignment, resulting in major revenue, ratings and market share growth. Prior to her stint in TV news, Hahn spent nine years as a marketing executive successfully repositioning The New Yorker, House Beautiful and European Travel & Life magazines. 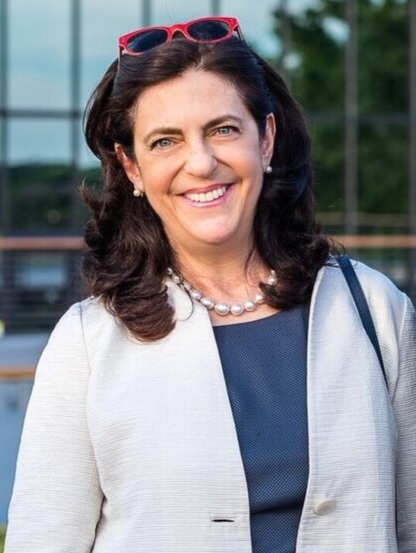 She started her career in IBM corporate sales and in fixed income institutional sales at Lehman Brothers, and then was finance director for a U.S. congressional race in Philadelphia. After the campaign, she joined ad agency Lowe & Partners in account management on Citibank’s credit card businesses. She is the Executive Producer of a weekly podcast This Is Your Brain with Dr. Phil Stieg, rated “New and Notable” in iTunes Science and Medicine category http://playpodca.st/thisisyourbrain. She also authored an audio documentary on the birthplace of the blues in partnership with actor Morgan Freeman. Hahn spearheaded the creation of The Weill Cornell Children’s Brain Tumor Project with two leading neuroscientists to fund research for rare and incurable pediatric brain cancers. She serves as its strategic and development advisor. Hahn is a graduate of Bryn Mawr College with a B.A. in French literature and attended Columbia University’s Executive MBA Program in Finance and Accounting for Executives. She has lectured widely in the academic, business, and non-profit sectors and is currently an Associate Fellow at Yale University’s Berkeley College, a community of Yale faculty and external thought leaders.